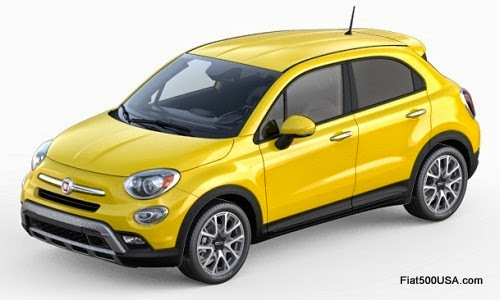 Pricing for the all new 2016 Fiat 500X Crossover has just been released! 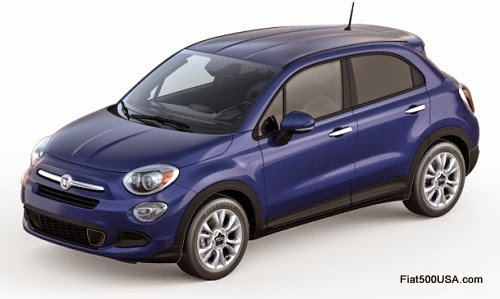 The Fiat 500X will start at $20,900* and will be available in five trim levels. The Street series models, including the Pop, Easy and Lounge, feature sophisticated Italian style for a decidedly urban and cosmopolitan appearance. The Trekking and Trekking Plus models have a more aggressive and athletic look with their unique front and rear fascia designs. The base Fiat 500X Pop is available with the 1.4-liter MultiAir Turbo engine with an output of 160 horsepower and 184 lb.-ft. of torque. The MultiAir Turbo is matched to a six-speed manual transmission. Optional is a 2.4-liter Tigershark MultiAir2 engine that produces 180 horsepower and 175 lb.-ft. of torque, paired exclusively to a nine-speed automatic transmission. 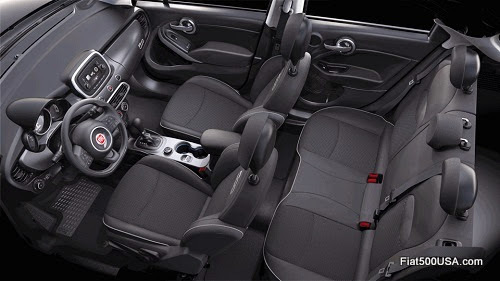 The 500X Pop is available only in front-wheel-drive. All other 500X models have the option of all-wheel-drive and use the 2.4 liter Tigershark and nine speed automatic. 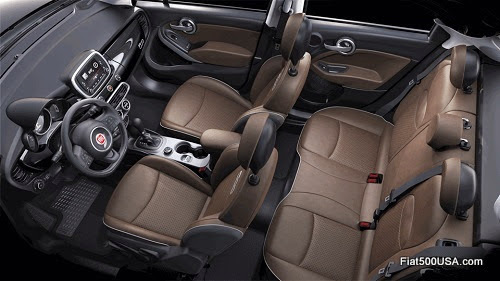 The advanced all-wheel-drive system used in the 500X features a disconnecting axle for reduced parasytic loses which helps boost fuel economy and also performance. It adds $1,900 to the price. 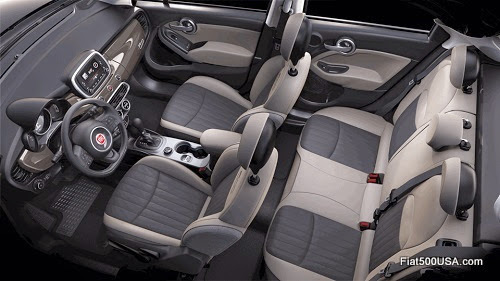 As with the entire Fiat line up, the 500X is all about personailization and there are numerous option packages available that allows owners to create their own unique car. 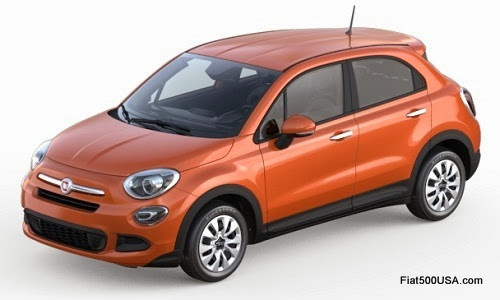 In addition, Mopar, the parts and accessories division of Fiat Chrysler Automobiles (FCA) will offer more than 100 accessories for the 500X. It is truly a stagering list of combinations and possibilitires. 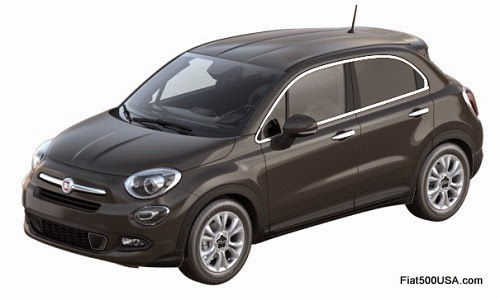 The Fiat 500X has 70 safety and security features that are standard or available which includes: Forward Collision Warning-Plus with full stop, LaneSense Lane Departure Warning-Plus, Blind-spot Monitoring and Rear Cross Path detection. Electronic stability control (ESC) with Hill-start Assist and electronic roll mitigation is standard on all models, as are seven air bags. The 500X also features considerable technology. A 6.5 radio with a high-resolution touchscreen and navigation featuring award winning Uconnect system is available. There is Bluetooth streaming audio, Uconnect Access Via Mobile, a 3.5-inch color thin-film transistor (TFT) cluster display, Keyless Enter ‘n Go with remote start, and heated front seats and steering wheel. And that is just to name a few. 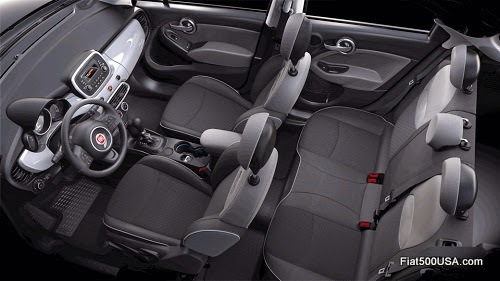 Use the link below to see all tha availble features on the Fiat 500X. 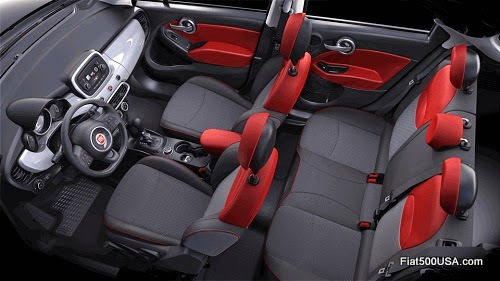 Make sure you stop by the Fiat 500X configurator to build and price your own. Have fun!